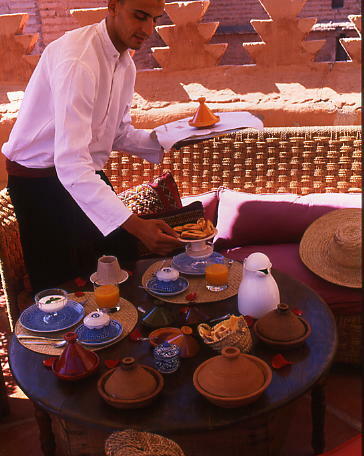 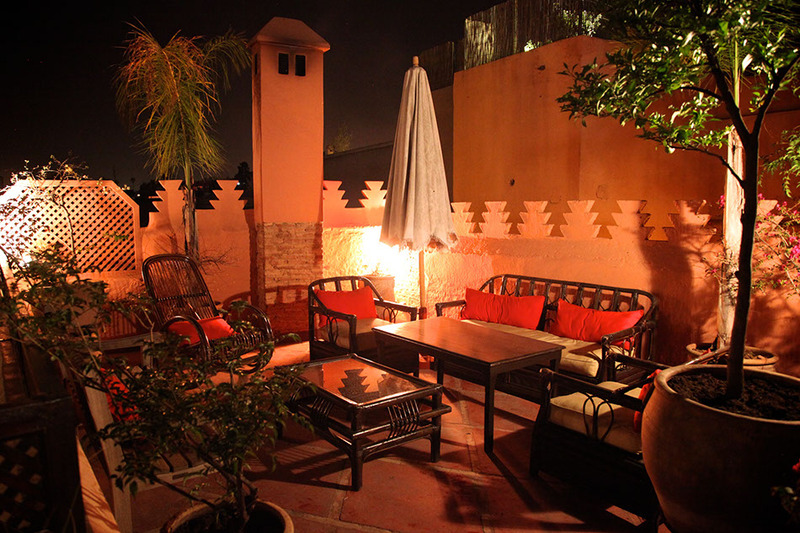 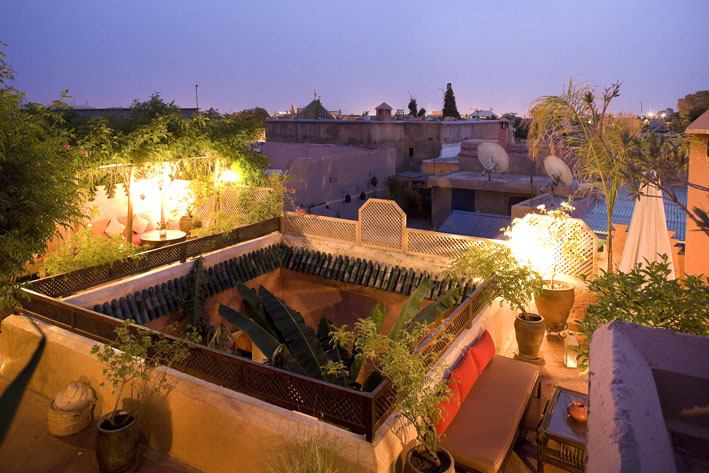 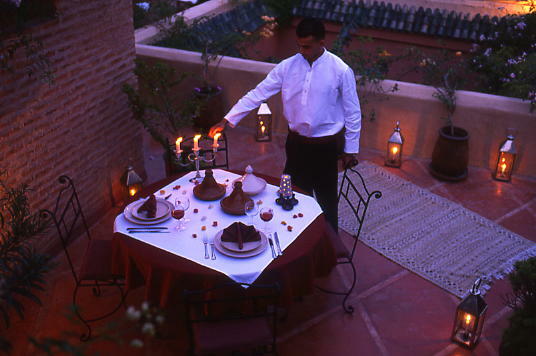 Our rooftop terrace offers panoramic views of the Medina and is an ideal location to enjoy a drink and tapas, some Moroccan mint tea while watching the sun go down on our pink city, or for a candlelight dinner under the stars where Moroccan and Italian cuisine meet. 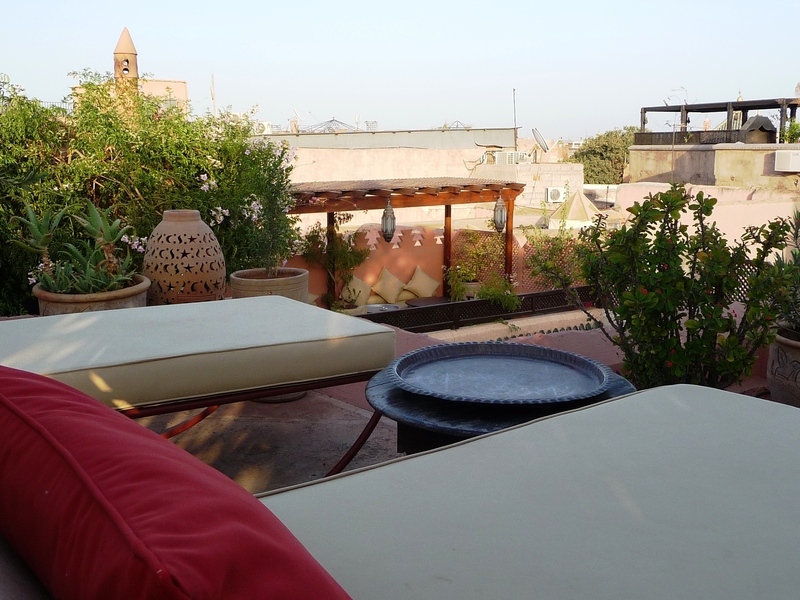 Throughout the year, the terrace is the ideal spot for breakfast and lunch, while in summer there is the opportunity for open air movie projections. 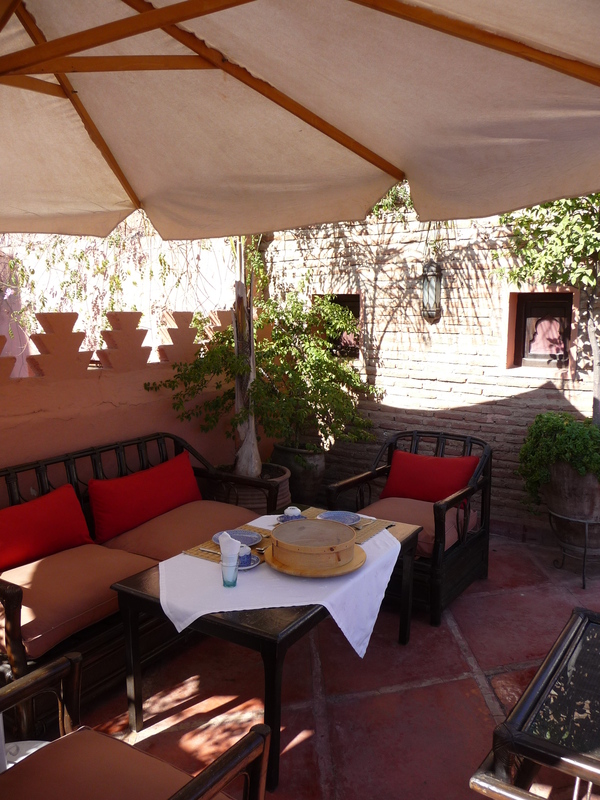 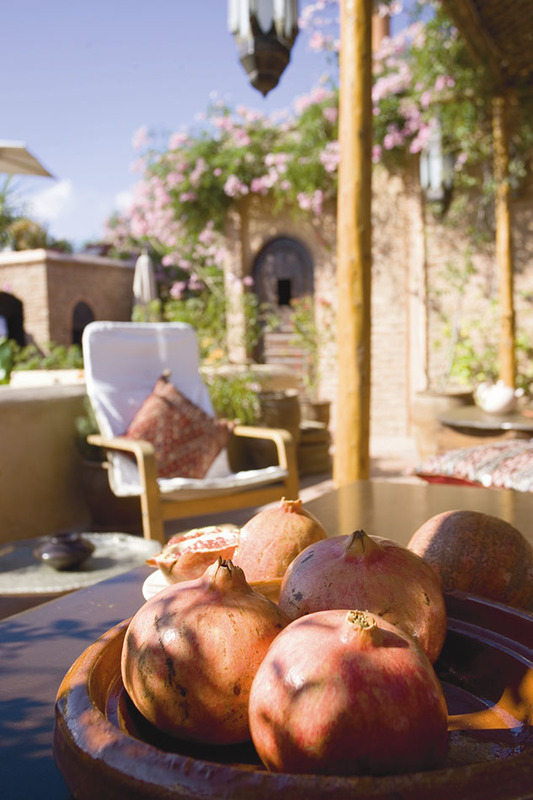 On the terrace there also are a small solarium and our hammam.